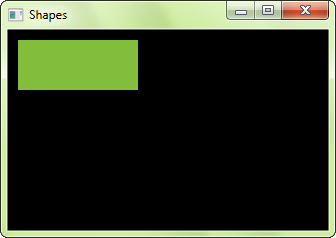 SFML provides a set of classes that represent simple shape entities. Each type of shape is a separate class, but they all derive from the same base class so that they have access to the same subset of common features. 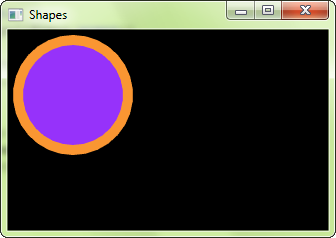 Each class then adds its own specifics: a radius property for the circle class, a size for the rectangle class, points for the polygon class, etc. These properties are common to all the SFML graphical classes, so they are explained in a separate tutorial: Transforming entities. One of the basic properties of a shape is its color. You can change with the setFillColor function. Shapes can have an outline. You can set the thickness and color of the outline with the setOutlineThickness and setOutlineColor functions. By default, the outline is extruded outwards from the shape (e.g. if you have a circle with a radius of 10 and an outline thickness of 5, the total radius of the circle will be 15). You can make it extrude towards the center of the shape instead, by setting a negative thickness. To disable the outline, set its thickness to 0. If you only want the outline, you can set the fill color to sf::Color::Transparent. Shapes can also be textured, just like sprites. To specify a part of the texture to be mapped to the shape, you must use the setTextureRect function. 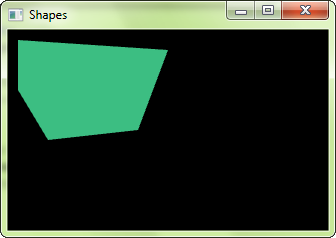 It takes the texture rectangle to map to the bounding rectangle of the shape. This method doesn't offer maximum flexibility, but it is much easier to use than individually setting the texture coordinates of each point of the shape. Note that the outline is not textured. It is important to know that the texture is modulated (multiplied) with the shape's fill color. If its fill color is sf::Color::White, the texture will appear unmodified. 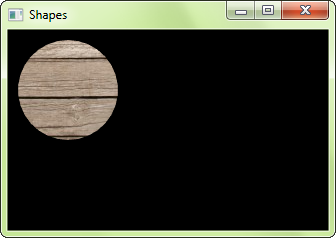 To disable texturing, call setTexture(NULL). 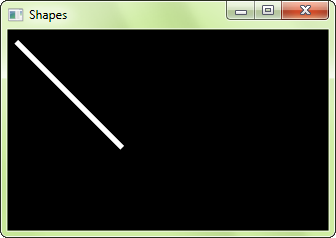 To draw rectangles, you can use the sf::RectangleShape class. It has a single attribute: The size of the rectangle. Circles are represented by the sf::CircleShape class. It has two attributes: The radius and the number of sides. The number of sides is an optional attribute, it allows you to adjust the "quality" of the circle: Circles have to be approximated by polygons with many sides (the graphics card is unable to draw a perfect circle directly), and this attribute defines how many sides your circle approximation will have. If you draw small circles, you'll probably only need a few sides. If you draw big circles, or zoom on regular circles, you'll most likely need more sides. There's no dedicated class for regular polygons, in fact you can represent a regular polygon with any number of sides using the sf::CircleShape class: Since circles are approximated by polygons with many sides, you just have to play with the number of sides to get the desired polygons. A sf::CircleShape with 3 points is a triangle, with 4 points it's a square, etc. The sf::ConvexShape class is the ultimate shape class: It allows you to define any convex shape. 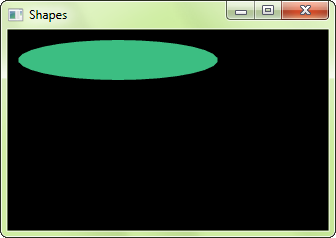 SFML is unable to draw concave shapes. 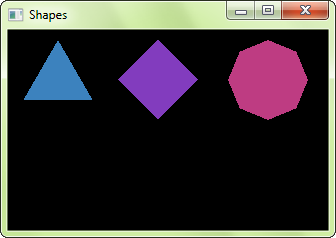 If you need to draw a concave shape, you'll have to split it into multiple convex polygons. To construct a convex shape, you must first set the number of points it should have and then define the points. The order in which you define the points is very important. They must all be defined either in clockwise or counter-clockwise order. If you define them in an inconsistent order, the shape will be constructed incorrectly. Although the name of sf::ConvexShape implies that it should only be used to represent convex shapes, its requirements are a little more relaxed. In fact, the only requirement that your shape must meet is that if you went ahead and drew lines from its center of gravity to all of its points, these lines must be drawn in the same order. You are not allowed to "jump behind a previous line". Internally, convex shapes are automatically constructed using triangle fans, so if your shape is representable by a triangle fan, you can use sf::ConvexShape. With this relaxed definition, you can draw stars using sf::ConvexShape for example. There's no shape class for lines. The reason is simple: If your line has a thickness, it is a rectangle. If it doesn't, it can be drawn with a line primitive. To learn more about vertices and primitives, you can read the tutorial on vertex arrays. You must also call the update() protected function whenever any point in your shape changes, so that the base class is informed and can update its internal geometry. 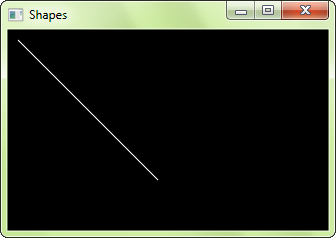 Here is a complete example of a custom shape class: EllipseShape. There's no option to anti-alias a single shape. To get anti-aliased shapes (i.e. shapes with smoothed edges), you have to enable anti-aliasing globally when you create the window, with the corresponding attribute of the sf::ContextSettings structure. Remember that anti-aliasing availability depends on the graphics card: It might not support it, or have it forced to disabled in the driver settings.